The classic alpine summer season is drawing to a end here in Chamonix. The hotels and lifts are starting to close and the alpine guides are comparing how many days they have left before holiday time. Conditions for climbing continue to be excellent though. Lot’s of warm dry weather and quiet routes. 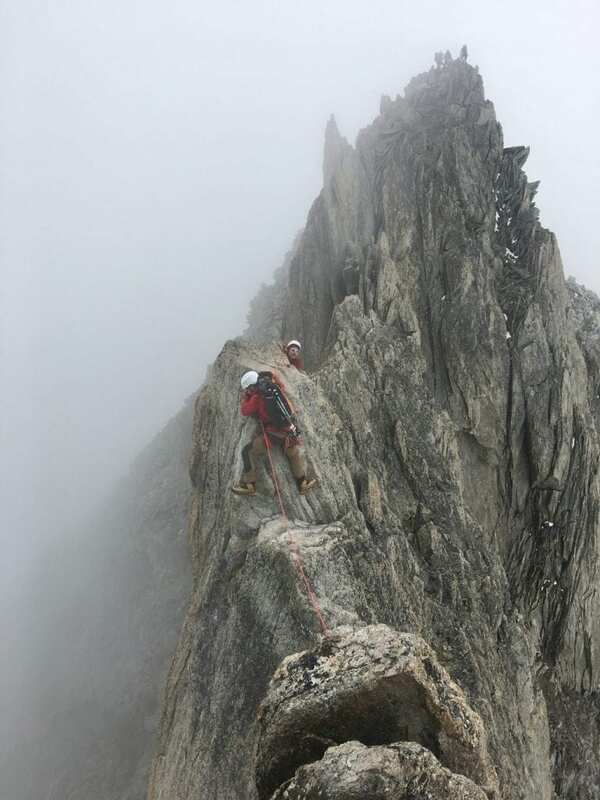 The rock climbing in particular is very good and the route are quiet compared with the high summer season. 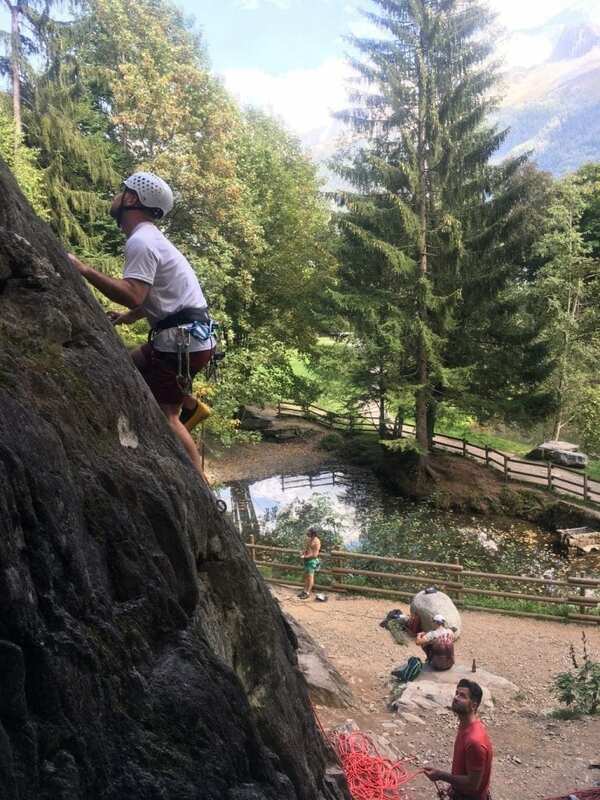 Graeme, Brendan and I had our annual trip climbing around Chamonix and it felt like we made some good progress this year with a series of more challenging routes finishing with a multi-pitch rock climb on the slabs of the Aiguille du Peigne called “Les Lepidopteres“. 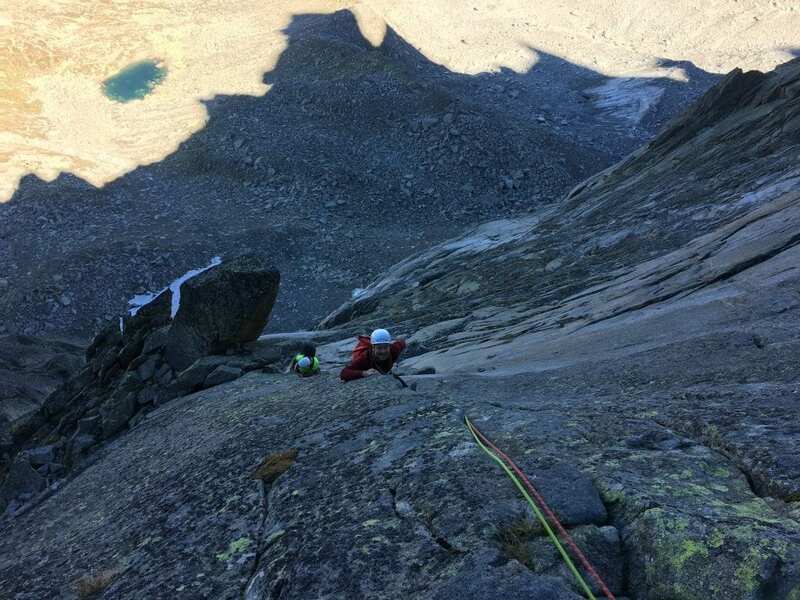 This sustained and exposed rock climb features some superb granite climbing before cresting the sun-lit ridge at the top of the Papillons arete. 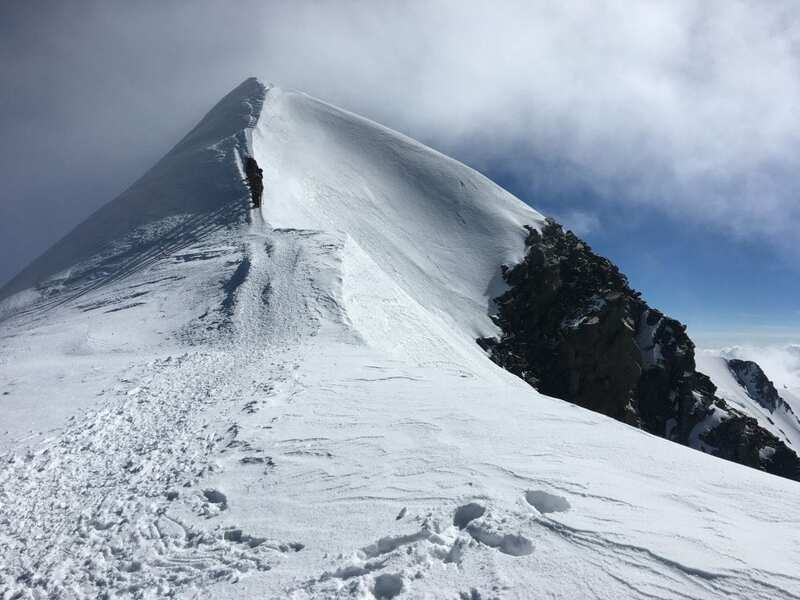 With this climb completed, Brendan and Greame have gone through a “glass ceiling” and are ready for longer or more technical routes in the high mountains. I’m looking forward to next year already! 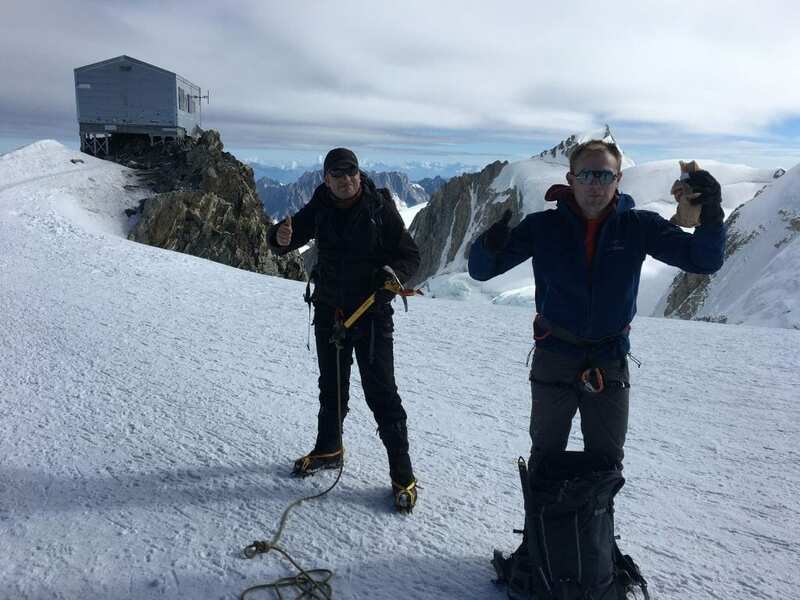 Zak and Jakub were on our final scheduled Mont Blanc trip of the season. 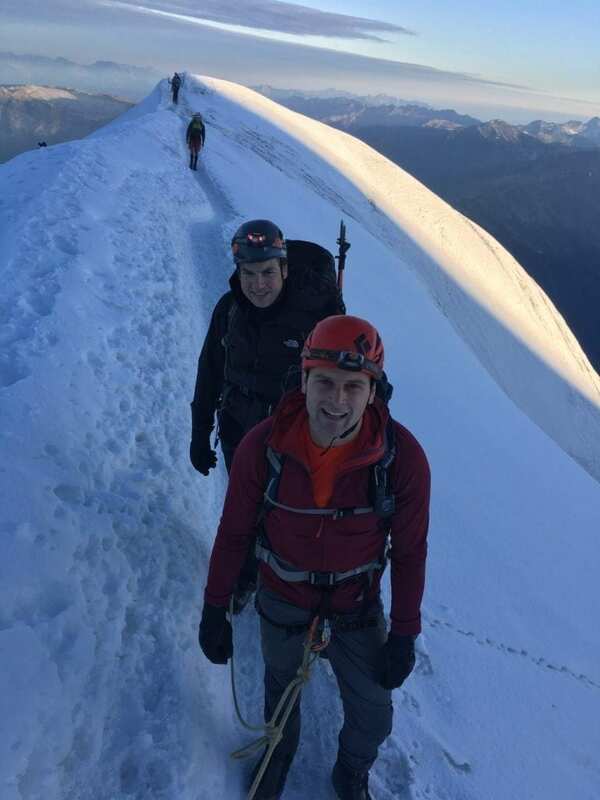 After acclimatising and climbing on the Grand Paradiso with Owen, I joined them for the final three days of the trip for Mont Blanc. Although the Bellevue lift at Les Houches is still open, the Mont Blanc Tramway is shut. So we had a longer than normal walk to the Tete Rousse refuge on the first day. Traversing around the side of Mont Lachet is one of the best trails in the valley though, with superb views over Chamonix. The weather forecast and conditions were totally spot on for our summit day. No crampons required for the Grand Couloir or ridge and then a nice track all the way to the summit. 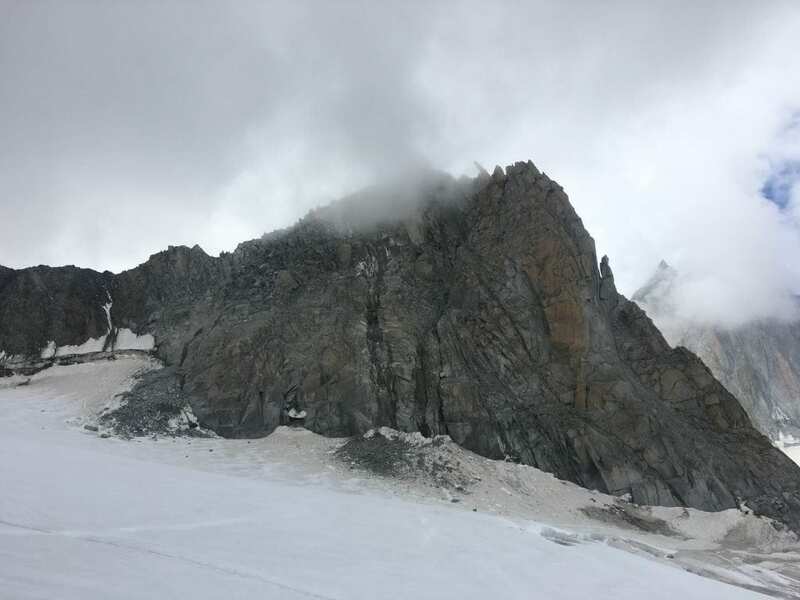 We made good time and were on the summit around six hours after leaving the Tete Rousse. After spending that night at the Gouter refuge we descended back down past the Grand Couloir and down to the valley. The couloir is still bone-dry and although we saw a few small periods of rock fall it was generally quiet. Although it’s the end of the classic summer season, climbing in the autumn can be fantastic. We have a bunch of trips starting this weekend and through October. We’ll update the blog when we can. The Tour Ronde. A lot of rock fall on what used to be the normal route this summer. You can see the debris spread across the glacier. 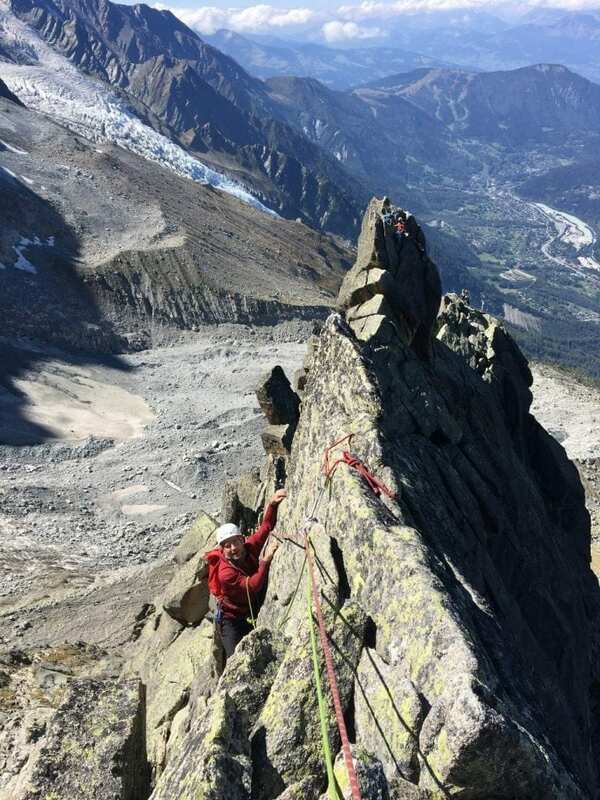 Rock climbing on the Peigne above Chamonix. This pitch is graded 4c. Finally out of the shade and into the light on the Peigne. The Papillons arete in the background. 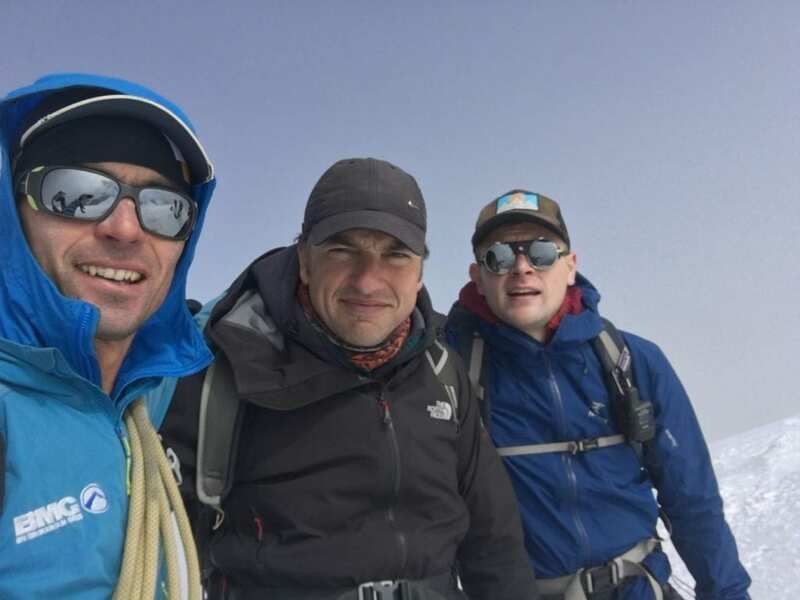 The boys enjoying a sandwich stop, Mont Blanc September 2018. On the summit with Zac and Jakub. 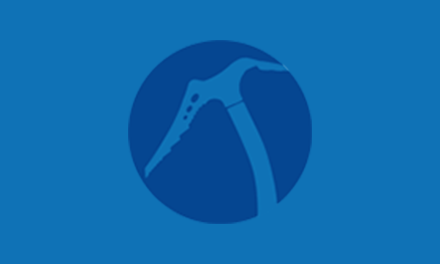 Owner and Director of Vertical Frontiers Ltd After specialising in rock climbing I started guiding on expeditions around the world on many six and seven thousand meter peaks. 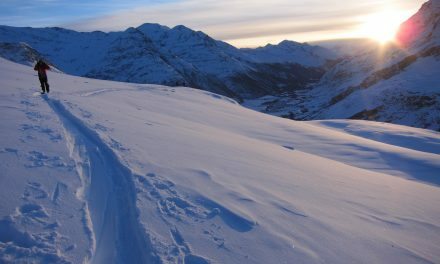 I now live year round in the Chamonix valley, mountaineering in the summer and skiing during the winter. There's more on the "About Page"